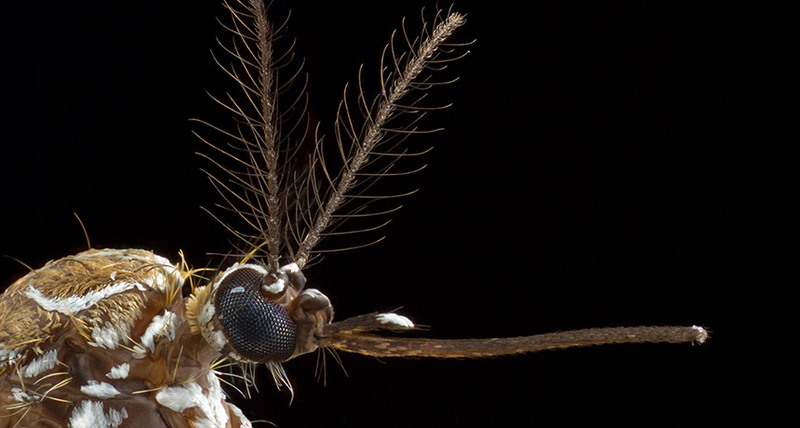 SCENT OF A HUMAN Geneticists have figured out one of the proteins that an Aedes aegypti mosquito (shown) needs to sniff that fascinating lactic acid from human sweat. Geneticists have found a scent-sniffer protein molecule in mosquito antennae that — if somehow jammed — might leave a bloodsucker confused about whether we’re human enough to bite. Aedes aegypti mosquitoes, which can spread Zika and dengue, prefer human blood to the blood of other animals. A string of experiments now shows that a protein called IR8a, found in the insects’ antennae, is one of the molecules necessary for detecting lactic acid, a component of human sweat, wafting by. Human skin and its microbiome give off a lot of lactic acid compared with other vertebrates’, says geneticist Matthew DeGennaro of Florida International University in Miami. Researchers since the 1960s have mused that lactic acid might be one of the big clues Ae. aegypti mosquitoes use to pick out humans. IR8a’s role in detecting traces of acids in the air was revealed in part by evidence from how mutant mosquitoes behave. Mutants with nonworking IR8a, but with their other abilities intact, were only about half as likely to settle on a human arm or sweat-stained sock as normal mosquitoes, DeGennaro and colleagues report March 28 in Current Biology. Insects evolved odor detection separately from vertebrates, and the six-legged version is “very complex,” DeGennaro says. Mosquitoes rely on three families of odor-sniffing proteins that have overlapping abilities to identify groups of airborne chemical compounds. Proteins called ionotropic receptors, which include IR8a, target acids among other compounds. As a mosquito hunts, the floating chemical cues get combined with other information such as atmospheric heat, moisture and the sight of something biteable. DeGennaro calls carbon dioxide “mosquito coffee,” revving the insects up to get to work seeking a meal.